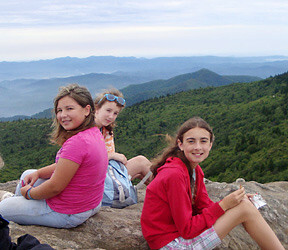 Camp and camp life represent unique and important benefits for children. 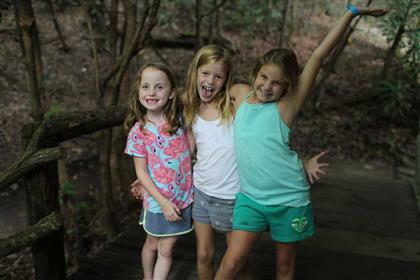 They foster personal growth, encourage new friendships, promote greater confidence and self-esteem, and are perfect complements to ordinary classroom education. Camp means joining an enthusiastic community of great people each working and playing together in a supportive, non-competitive setting. 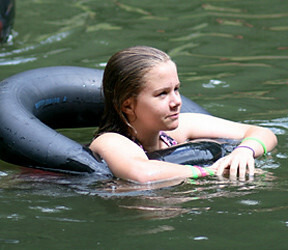 Children love camp because it allows them to relax and be themselves. 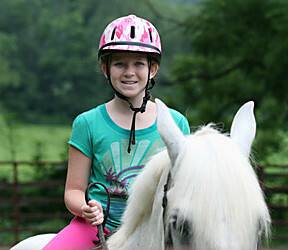 It lets them make independent decisions and try new activities. 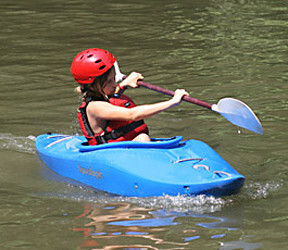 Camp provides a daily opportunity for self-directed play guided by excellent counselors and role models. 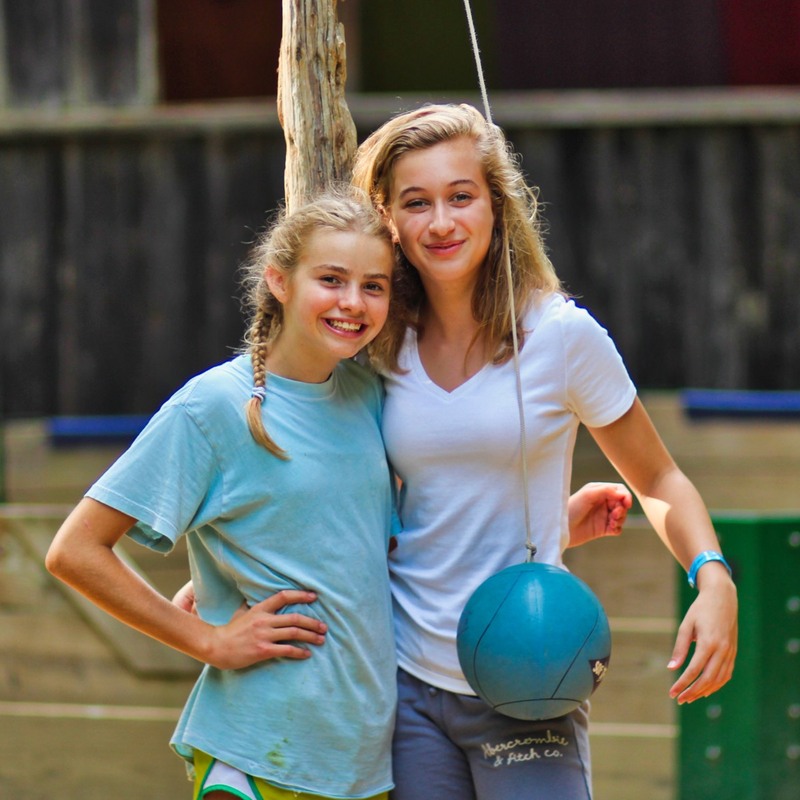 At its core, Rockbrook Camp is fun! There’s a certain manual character of life at camp. 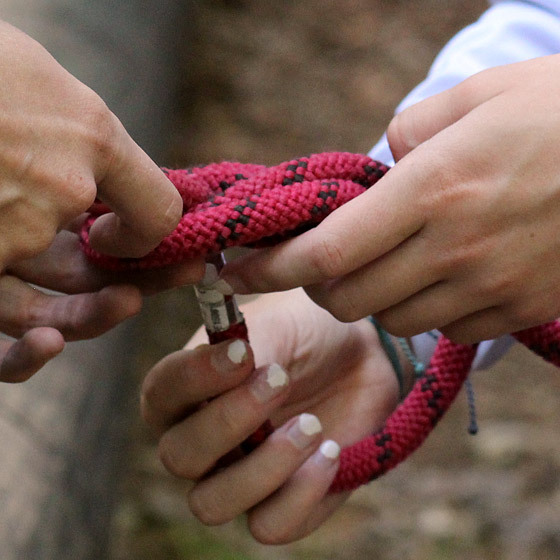 Given all of the activities we have going on simultaneously, the community living structuring our days, and the constant outdoor experience, camp is a setting where we use our hands constantly. We’re doing things, making things, and exploring things with our hands everyday. 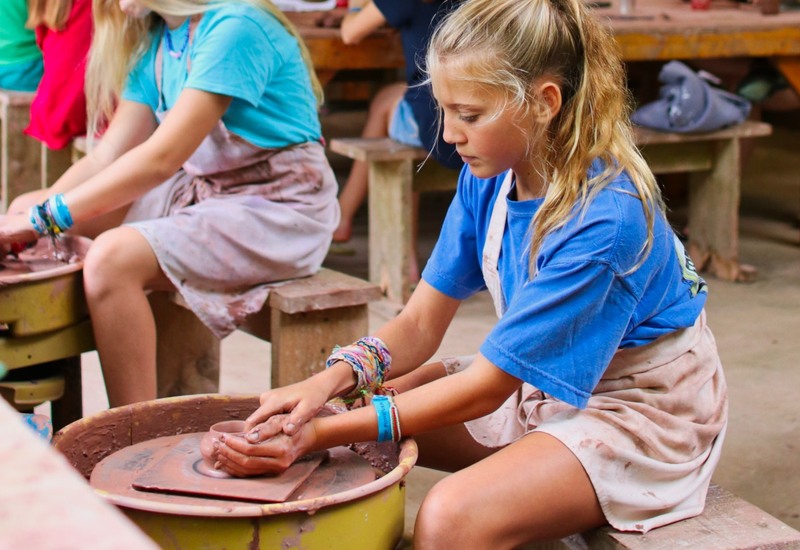 Sweeping the dining hall, tying a climbing rope, gripping a tennis racket, steadying a ball of clay on the potter’s wheel— all that and more can happen before breakfast! 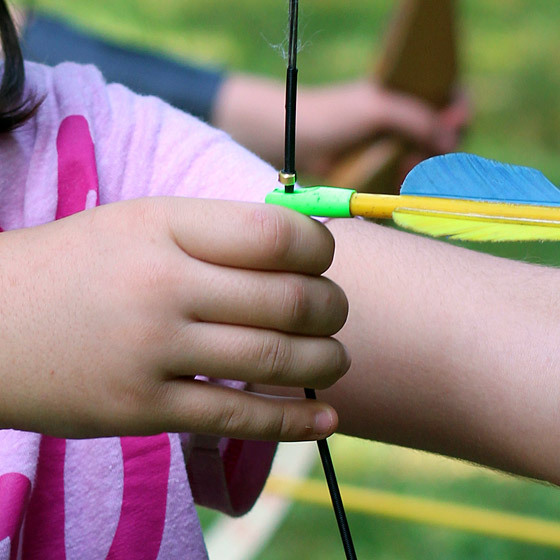 …not to mention, pulling back the string of a bow, tying embroidery floss into an intricate pattern, smacking a tetherball or gagaball, steering the reins of a horse. Camp life is defined by action, by direct inter-action with the physical— all five senses! —nature of the real world, and thereby provides almost limitless opportunities to engage things with our hands. 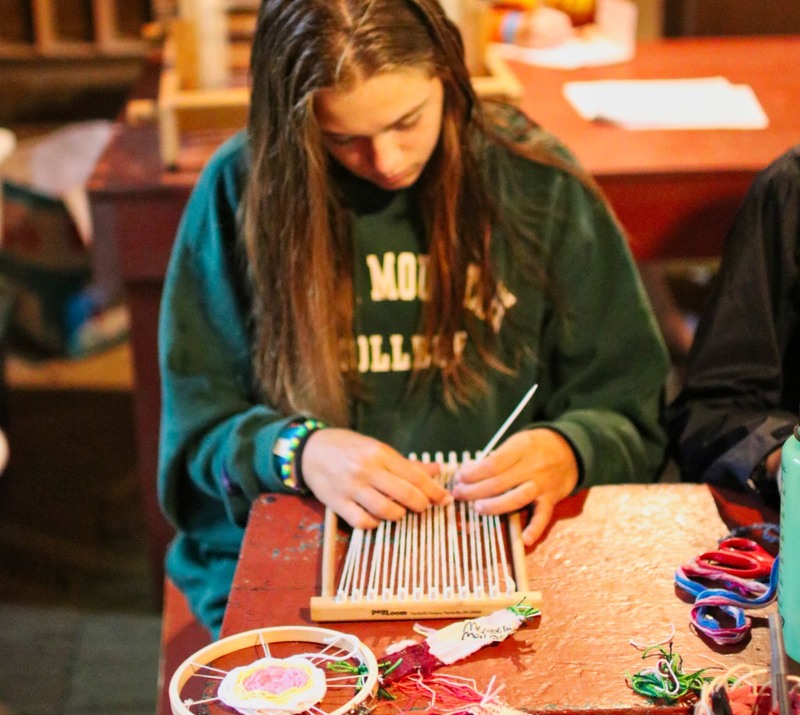 I think this is a significant benefit of camp because modern life, with its “conveniences” and “processing,” has made working with our hands less common and made hand skills less important. Perhaps, like spending time in nature, it’s good for us, and for our children, to do things with our hands. Maybe, this kind of “manual engagement” with the physical world is a core aspect of what makes us human, and it’s at great expense that we give it up. If so, then that means our kids need chances to work with their hands. And I don’t mean pushing buttons or swiping the screen of a smart phone! 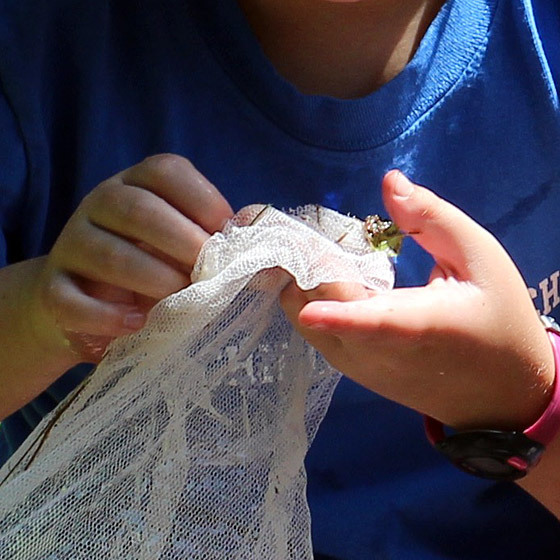 Just the opposite; they need what camp provides— daily connections with the physical (and natural) world. We might go so far as to say this manual character of camp helps explain why kids find life here so novel and fun. When their ordinary lives are limited by polished products, buffered by climate controlled spaces, and abstracted by technology, it feels really good, it —feels — refreshing to dig in with their hands. It probably means getting a little dirty, and maybe ending up with a couple of bruises and scrapes, but that’s simply part of living this fully. 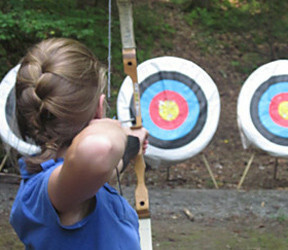 This is another way that camp differs from ordinarily living, and I would claim, another reason why it’s so gratifying. 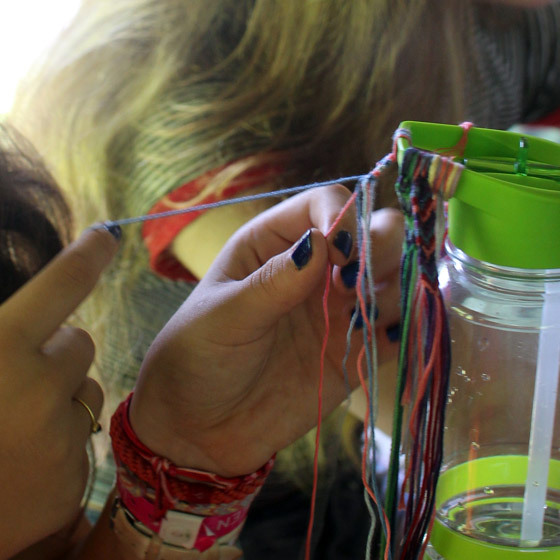 Camp is a place for our hands. And, that’s really good stuff. 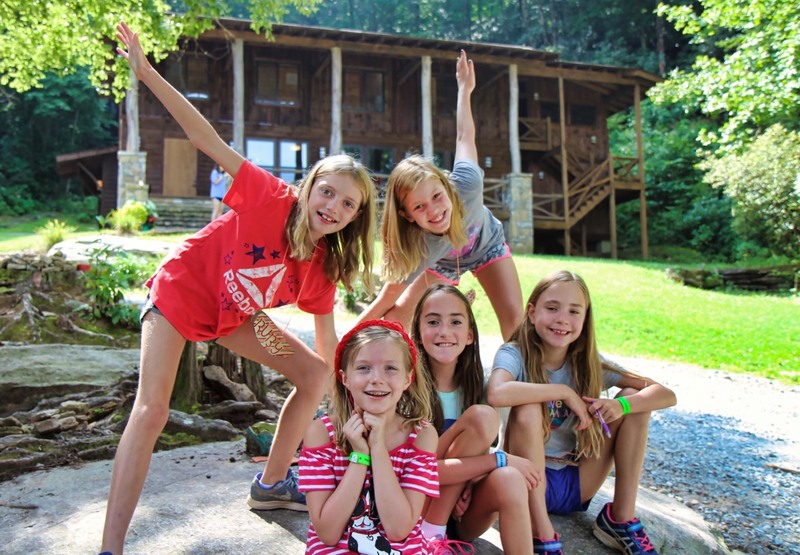 It might sound strange, but when you think about it, one of the reasons we send our children to camp —and I’d say this is true for my own girls who attend Rockbrook later during Third Session— is to have them struggle. That’s right; just as much as we hope they’ll have fun, a few bumps in the road is important as well. 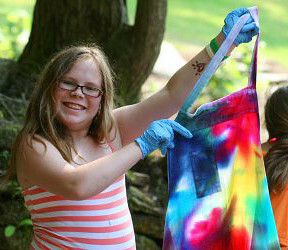 Scanning through the Rockbrook Web site you won’t see this exactly emphasized, of course. 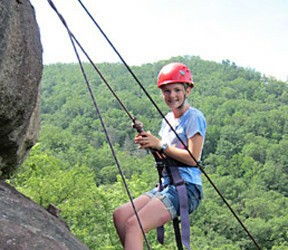 Instead you’ll see girls having the time of their lives, smiling while rock climbing, horseback riding, flying through the air on our zipline course, and working the pedals of an antique floor loom. 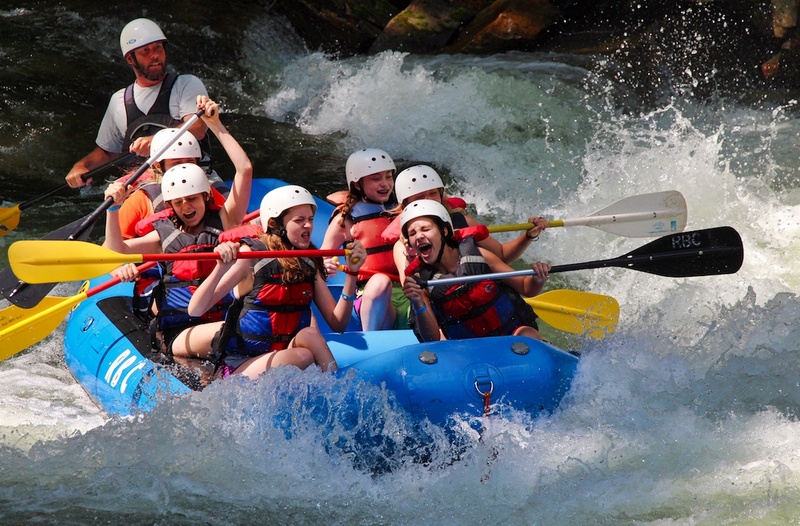 But we know that attending summer camp is more than just fun, more significant than visiting an amusement park. 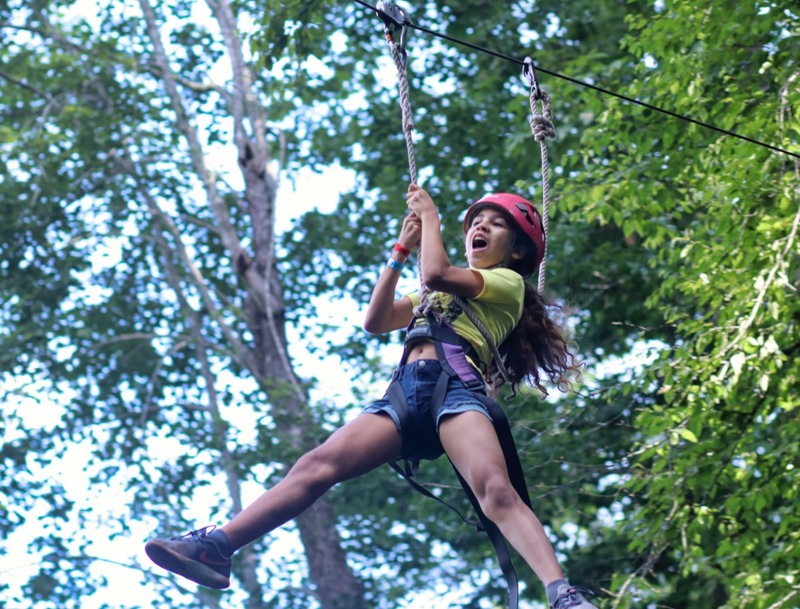 We know that camp is good for kids in important ways, and we hope the experience of these days away from home will be meaningful and formative long after they return. And, learning to deal positively with difficulty is one clear area of growth. The word here is “resilience,” that ability to recover from setbacks, to solve everyday problems, to be strong when met with disappointment. 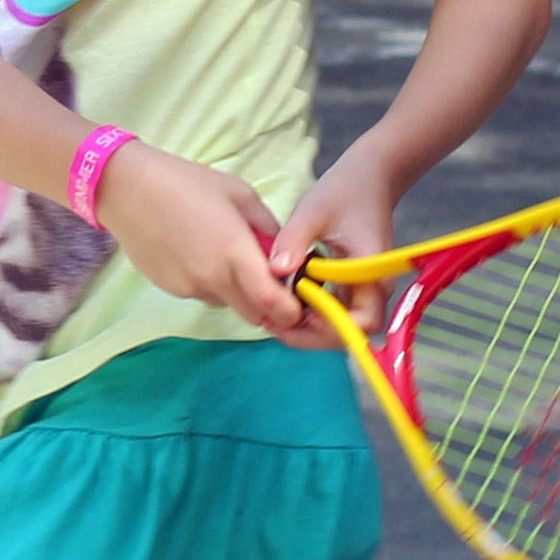 We want our kids to be more resilient when they encounter frustration, and when they get upset that something isn’t going exactly right. After all, life as an adult is often colored with those sorts of challenges— traffic jams, bureaucratic obstacles, mean-spirited colleagues at work, etc. As we work to improve things, strive toward goals, there’s bound to be some struggle. So what do you do when things get difficult like that? Get angry, start blaming, crumple into a heap? Or do you reapply yourself, navigate the problem creatively, look for solutions? What do you hope your kids will do when they’re older? 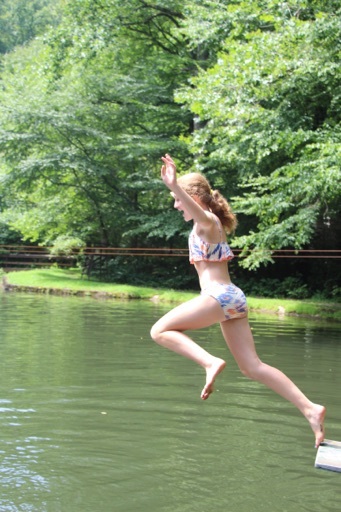 It turns out that camp is a great place for kids to become more resilient. Life here is chock full of opportunities to learn that problems can be solved, obstacles overcome, and setbacks endured. With the encouraging environment combined with so many positive role models at camp, especially at Rockbrook, the inevitable challenges of something different— a new activity, unfamiliar food, unsettling creature like a “spricket” (which, by the way, look like monstrous combinations of spiders and crickets that love to find their way into the cabins… aka, camel crickets) —isn’t as overwhelming. The strong community of camp provides the support. 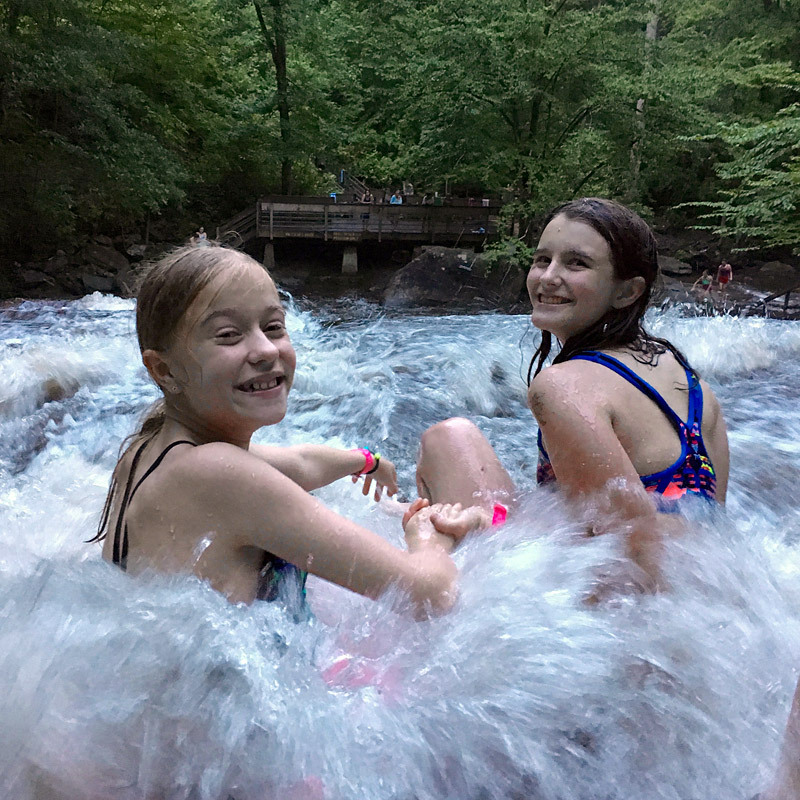 It pulls us all along, bolstering your girls’ confidence at the top of sliding rock, inspiring them to try again when they can’t make a climbing move on the alpine tower or center their clay on the potter’s wheel. 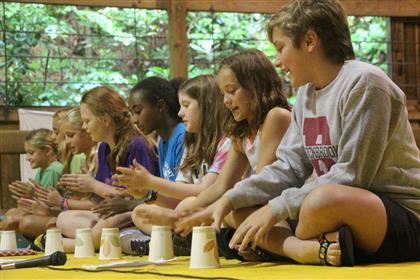 There’s a power to the collective experience of camp. When everyone has to walk down the cabin line at night to visit the bathroom, when everyone lives essentially outside with no AC, or when everyone has to help keep the dining hall clean, it’s easier to handle what’s uncomfortable. 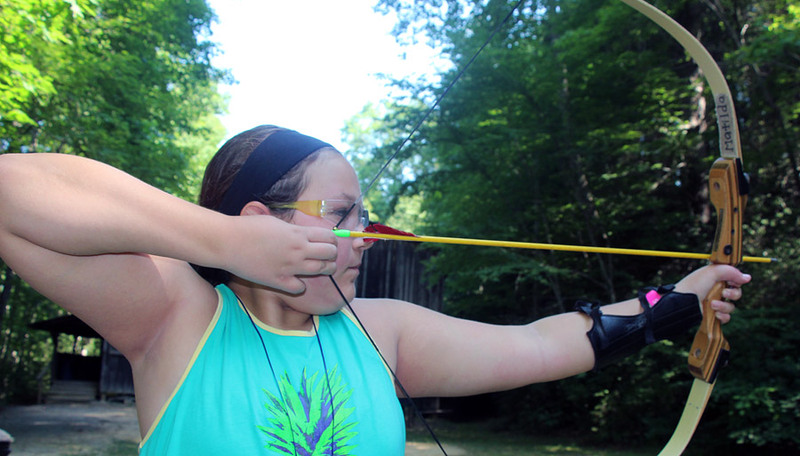 At camp, we simply don’t stop when we struggle. Supporting each other, we try harder. 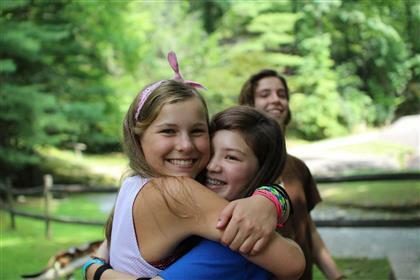 You might even think of this as the essence of camp; it’s inherently different from ordinarily life. 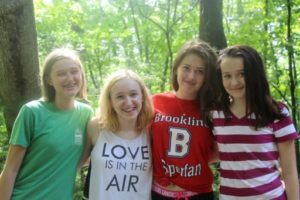 Away from the comforts of home, living with new people, being immersed in nature, camp requires girls to adapt, to meet those (and other) differences and despite any initial uncertainty, carry on. If we could somehow lessen those differences, add AC and bathrooms to the cabins for example, or serve only familiar foods, something important and valuable would be lost. 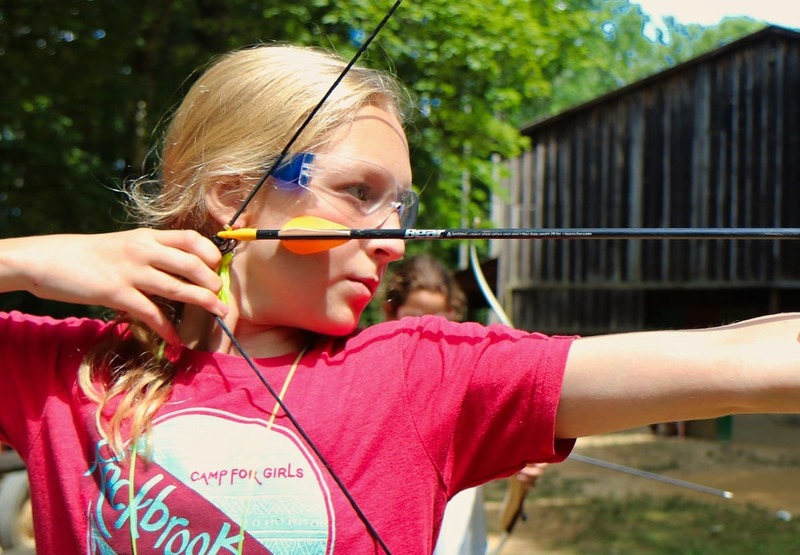 It would mean lessening the challenges of camp, taking away some of the struggles, and thereby reducing the opportunities to develop a healthy habit of resilience. If we made camp completely comfortable, it would cease to even be camp, and this important opportunity for growth would be diminished if not lost altogether. 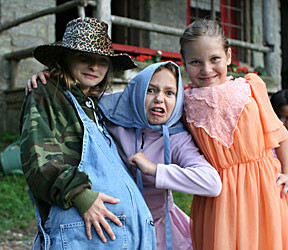 Plus, I suspect, camp would be less meaningful for the girls. Attending would be reduced to mere amusement, and something easily forgotten. 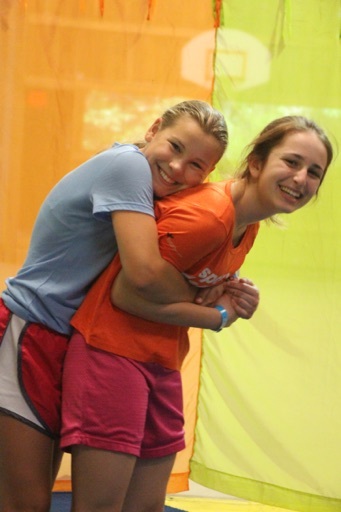 Yes, we have fun at camp. And yes, we sometimes struggle with the challenging differences we encounter here, but together it’s great. Once again, I thought we could publish a few pieces written by the campers themselves, telling us what Rockbrook has meant to them, and what they might have learned this session. We asked a Junior, and three Seniors (writing together) to share their thoughts, and these are the results! 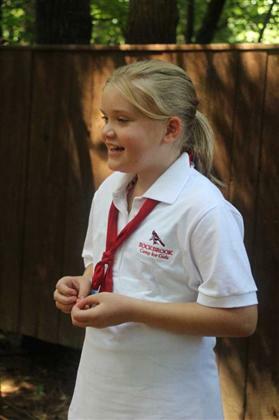 Rockbrook is a great place because it’s a place where girls can learn. They don’t just learn they become stronger people. 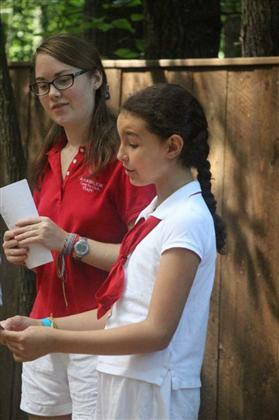 When I first came to camp, I was not a really strong person. I did not make my bed, or clean much. 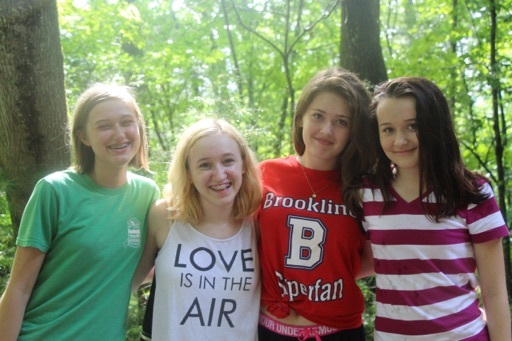 Then the day of camp came. From that second ’til now, I can tell all the girls and I have become stronger people and friends. I think that Rockbrook can make you meet a pal for life. I did, and we have told each other many secrets. 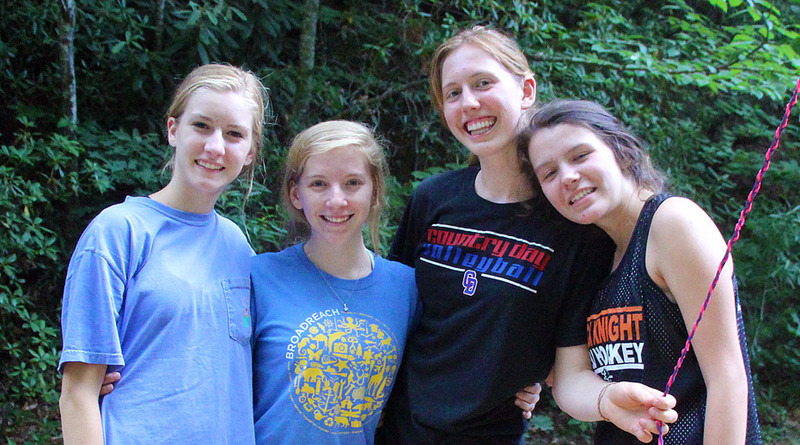 I also think my counselors are right about the saying “FFF” (Fierce Fabulous Females). That’s what you will become if you come to Rockbrook. To us, Rockbrook is waking up with a tangle of signatures strewn above your head. It’s coming back to friends you haven’t seen in a year, and feeling like you never left. It’s the deafening crunch of gravel at rest hour, and star-gazing on the Hill when you’re supposed to be asleep. It’s the nights when the sky is within your reach, and the darkness is your blanket. Rockbrook is arguing with your counselor over the existence of a Fairy Party [editor’s note: just a dream…], and redetermining what “dry” means. It’s days in which laughter’s as constant as breath, and the cardinal’s glow stays with you all year. 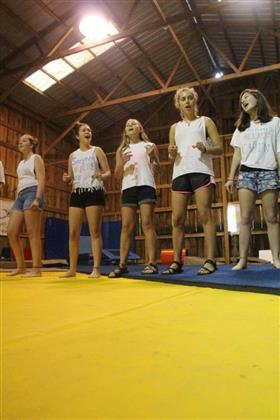 It’s the smile on your face when you’re singing your favorite camp song at the top of your lungs. 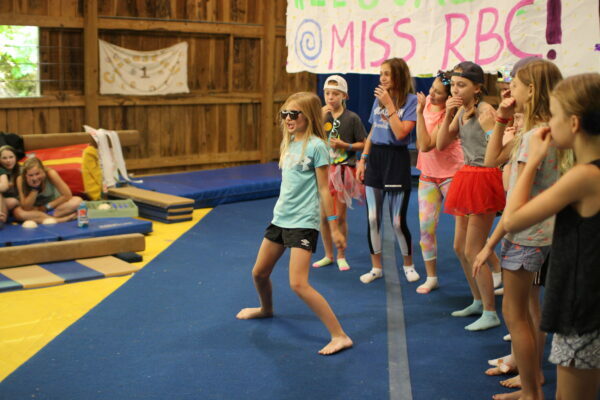 On Sunday, our campers took part in a longtime Rockbrook tradition: Miss RBC. 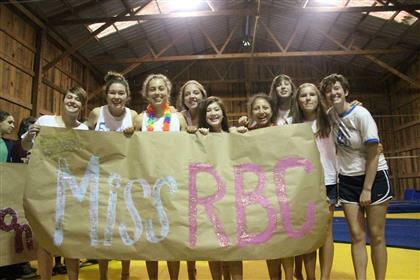 Judging by its name alone, you might think that Miss RBC is just a regular, run-of-the-mill beauty pageant. You might also wonder, then, why it has any place at a summer camp that doesn’t tend to glorify those things that are glorified in typical beauty pageants. Not to worry, though—our Miss RBC is a glorification only of the most Rockbrook-y values: silliness, fun, crazy costumes, and teamwork. The “contestants” (one from each cabin) put on their craziest costumes, parade around the gym doing their funniest beauty-pageant walk, and answer questions such as “Would you rather get to school every day riding an elephant, a dragon, or a witch’s broom?” (The answer that was given to this question, incidentally, was “elephant,” though I myself would have chosen the broomstick—the relative discomfort is outweighed by the fact that it can neither step on you, nor set you on fire). Why was that the answer? Who knows. But the response was hilarious, and the whole gym applauded hard and loud for that contestant. Still, the contestants’ question-and-answer portion is only one part of the Miss RBC process. 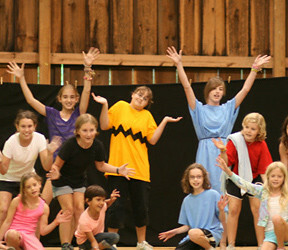 The part that the campers (and staff) look forward to the most is definitely the talent portion. 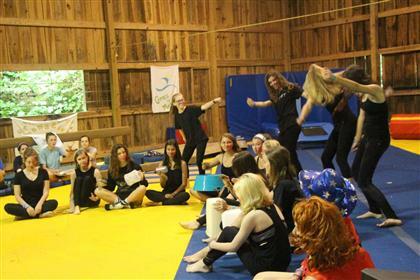 In the talent portion, entire cabins take the stage to perform something together—sometimes it is a dance, or an original song, or a skit, or anything else that they can think of. In recent years, the campers have tended to focus on elaborate dances, set to their favorite songs, which we play over the loudspeaker. This session, however, we decided to throw a twist into these usual proceedings: no pre-recorded music. That’s right, we went old-school. 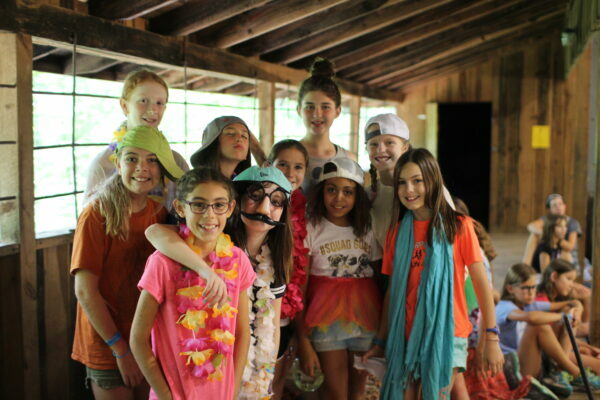 We were a bit nervous, when we made this announcement, that it might throw the girls off and make for a less exciting talent show; as usual, however, we shouldn’t have doubted that our campers would rise to the occasion. What unfolded Sunday afternoon, was absolutely the best Miss RBC I’ve ever seen. 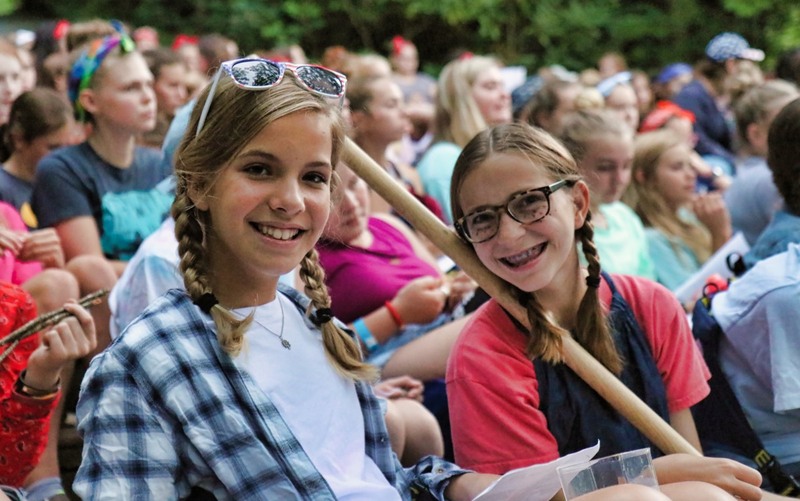 Cabins wrote and performed songs, sang in a cappella, performed beautiful dances while one cabinmate sang a pop song into the microphone, and one cabin even brought out pots and pans from the kitchen and performed a percussion piece. The talents were imaginative and daring, and all were incredibly impressive. 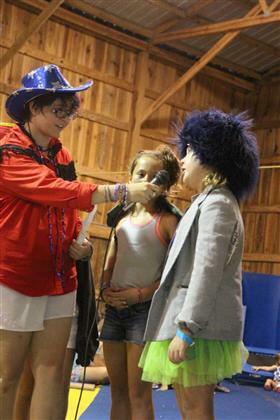 We were so proud to see our campers rise to this new challenge and put on such a great show! 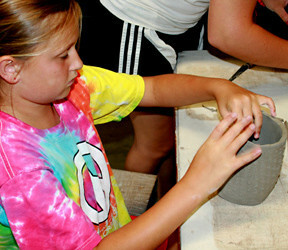 The first full day of camp is always a mixed bag of emotions for our campers. For campers young and old, new or returning, there’s a lot to process throughout this day. 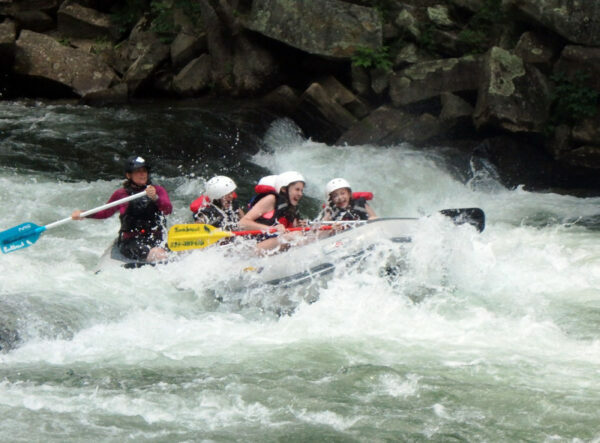 New activities to try, new people to meet, new friends to make… It can seem just as overwhelming as it is exciting. This is the day that marks the start of the few weeks these girls have waited 12 months to experience again, and that knowledge carries a lot of anticipation and anxiousness as the girls leave breakfast to enter a day of fun, creative activities. Our staff are very attuned to the first-day jitters. We encourage everyone to wear their name tags to make the introduction to new peers as easy as possible. 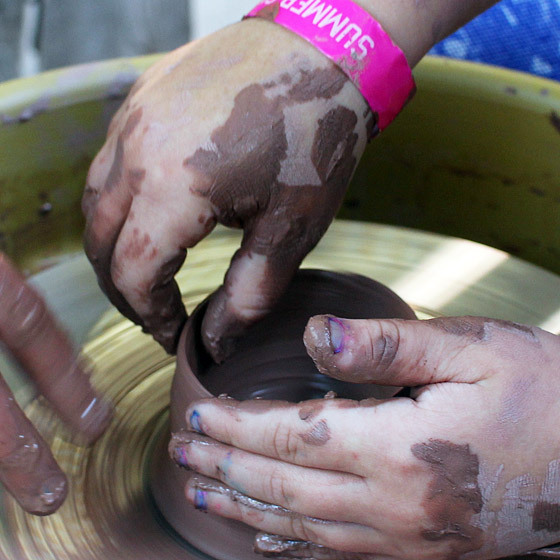 We also make sure to cater to all experience levels in each activity, helping a novice pinch-pot maker feel as comfortable as an expert wheel thrower. This is integral to our philosophy behind activities at Rockbrook. We’re also so excited to start this day because the girls have each customized their own activity schedule. This independence isn’t easy for every girl. Sometimes it’s more comfortable to do what someone has told you to do, but taking the braver step to choose their own activities is a huge sign of growth and maturity. 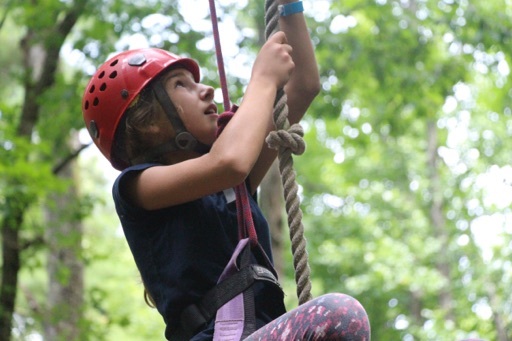 Rockbrook encourages our campers to lean into the discomfort of trying new things, and to create a “new normal” for themselves where they achieve things they may have never thought possible. 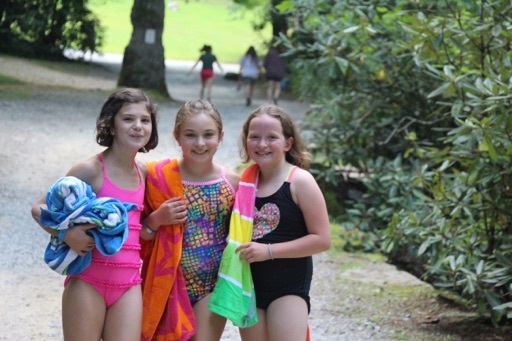 One particular group of campers experienced a Rockbrook milestone they have probably been looking forward to since their very first day of camp ever, driving up the gravel hill years ago. The two cabins of CAs—the second-oldest group of campers—proudly announced at lunch that Banquet is coming and that they are pumped! 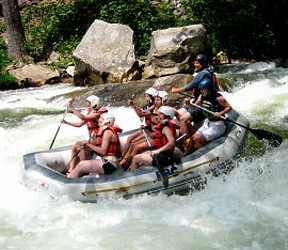 The CAs ventured after breakfast with Jeff into the DuPont forest on a hike that mirrored their brainstorming process. On the drive there, the girls threw out as many ideas of potential Banquet themes they could think of, many of which I suspect they’ve been dreaming up all year long. Upon arrival in the trail parking lot, we read aloud every idea to give the girls a chance to begin to sift through themes they really liked. Throughout the hike, Jeff stopped the girls three times. At each stop on the trail they discussed pros and cons of certain themes, each time eliminating a few as they went. The group engaged in good discussion, honoring each individual’s thoughts and ideas. 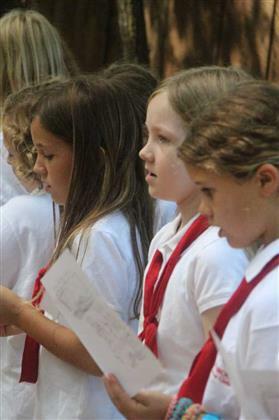 The energy in the air was palpable and the collaboration between the girls was inspiring. Finally, as they reached the peak of the mountain, the 2015 Third Session CAs emerged from the forest with a Banquet theme that all girls were excited about. 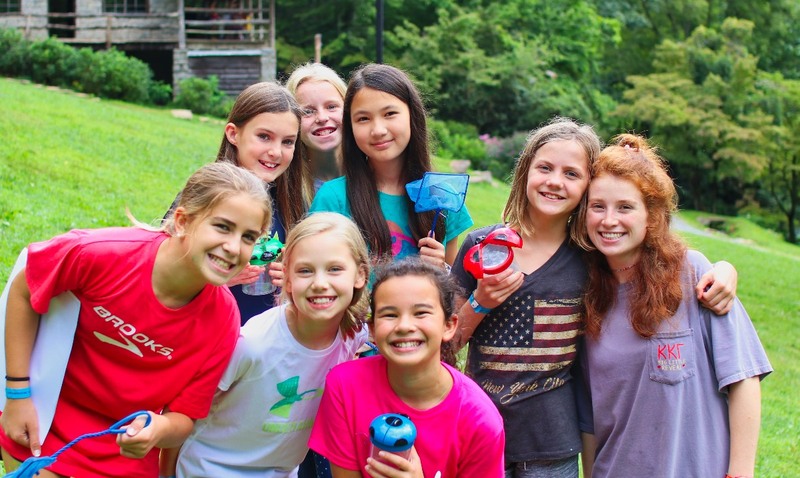 They’ll spend the next few weeks hard at work in their secret, off-limits “Cabin 9” at the end of the lower line working with paint and glitter to transform the Dining Hall into a whole new world. Get ready, folks, because these CAs are going to put on a show! Dinner tonight was the best representation of camp really being in full-swing. We thought yesterday was grand, having so many new arrivals and feeling the camp filled with fresh excitement. However, at tonight’s pizza dinner, the Dining Hall was roaring with happy conversations and enthusiastic (and loud!) singing. We cheered, we requested so many songs, and we sang our hearts out. As fun as yesterday was, we can now say that camp has officially started. 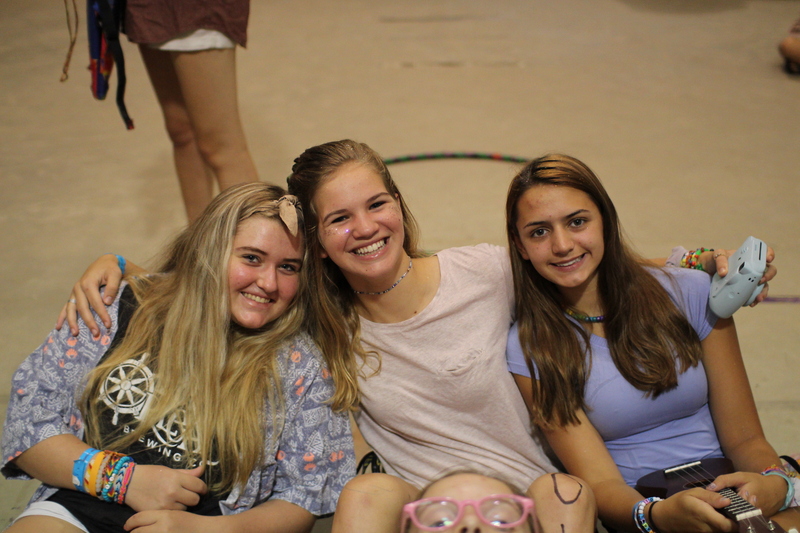 Our Third Session 2015 campers are finally here, immersed fully in camp life. Let the games begin! Oftentimes, in thinking of integrity and in striving for it, I find myself mired in complexity. Integrity, after all, is composed of a hundred different qualities that are, in themselves often difficult to achieve. Honesty, industriousness, moral fortitude, and trustworthiness are all components—but which are the most important, and which can I fail to achieve from time to time without losing my integrity? One after another, campers explained that this is the standard that they set for themselves: not only to do the right thing, but also to do it for the right reasons. To clean up the dinner table for the cabin-mate who forgot, and keep it to themselves. To pick up the trash strewn around the over-full trashcan in the empty lodge. To take just one muffin during muffin break, even though the Hi Ups’ backs are turned and they could easily take two. To do all of this without asking for praise or recognition—to do it only because it is the right thing to do. The Juniors were also quick to acknowledge that it is impossible to live up to these standards at all times. A significant part of integrity, to them, is falling short of these goals and owning up to it afterwards. The example that stuck with me was a camper who took a nice pen from the lost and found at school, then returned it a day later. Nobody would have known that the pen had been taken or who took it, but still she returned it so that it might still have the chance of being reclaimed by its owner. 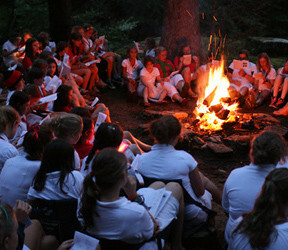 I like to think that camp is the perfect environment in which to develop integrity. 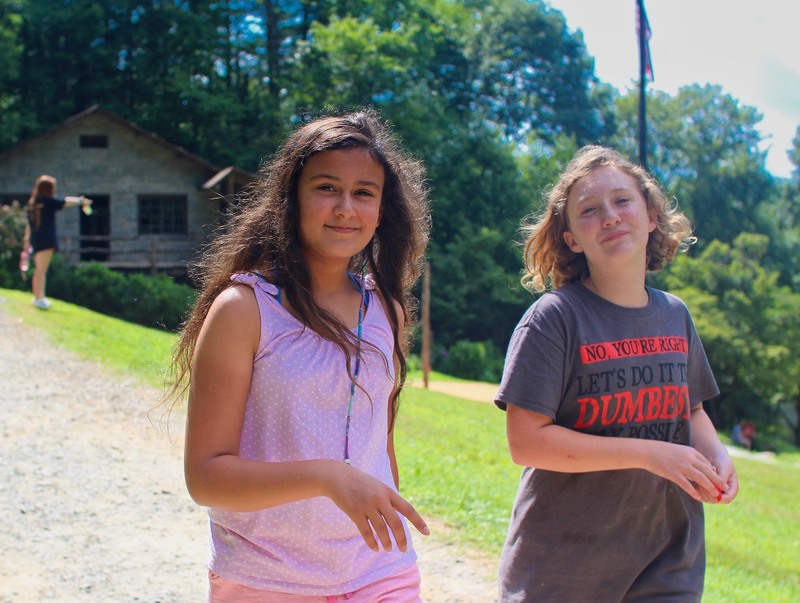 This kind of close community living helps campers to feel accountable to their peers and to the camp as a whole—they learn quickly that if they are not behaving well, then their actions will have repercussions that affect many others. Likewise, good deeds tend to be recognized and appreciated more often here than in the real world. Even if campers are not behaving well specifically for attention, that attention still might find them, and teach them one of the many rewards of integrity. Sarah pointed out at the very end of chapel that, built into the routine of camp, is a daily reminder of all that having integrity entails. 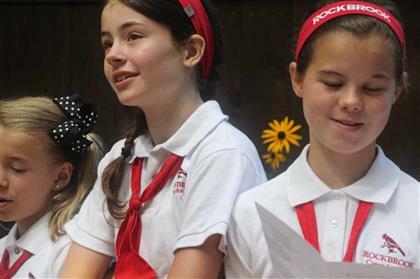 Every night before bed, campers of all ages recite the Rockbrook Prayer. 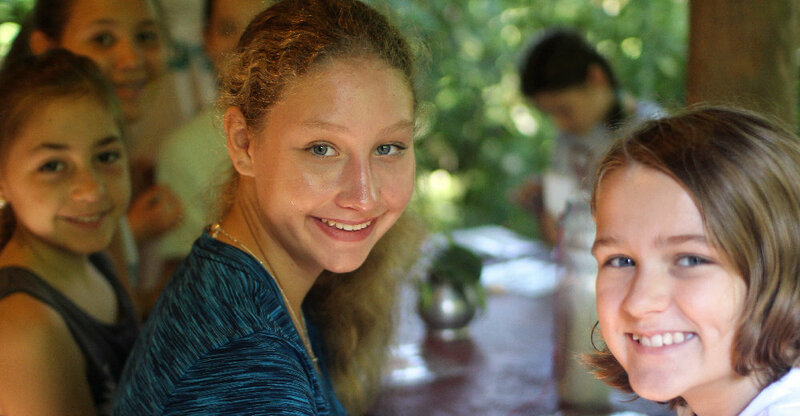 Conceived ninety-four years ago as a Christian prayer, and changed in later years to reflect the disparate religious beliefs of our many campers, the prayer is essentially a challenge to every camper to be a better person tomorrow than she was today. In it is outlined the behaviors and qualities that give a person integrity, even though it doesn’t say so outright. Countless alumnae have told us that this prayer has stayed with them throughout their lives, and that various lines will come floating up out of their memories in moments when they need reminding of the sorts of women that Rockbrook has helped them to become.